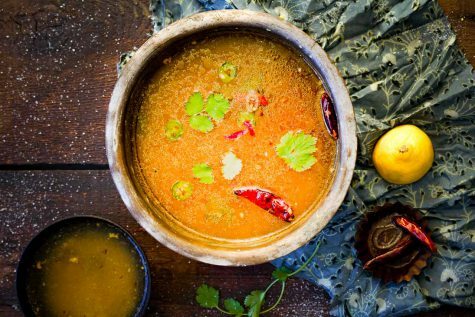 Tangy, spicy and slightly sweet, Osaman is perfect as a warm vegetarian sipping broth on a cold evening. 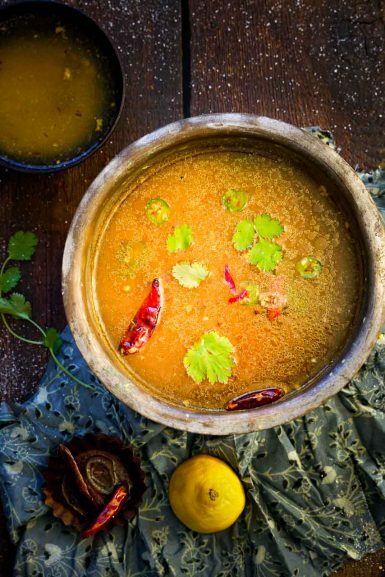 Osaman is a traditional Gujarati lentil broth. The water that the split pigeon peas (tuver dal/ toor dal) are cooked in is flavored with lemon juice and spices. For such a simple dish, it is surprisingly complex in flavor. Once you taste it, you will want to make a large batch and freeze it. Osaman is usually made alongside Lachko dal. It is kind of a genius two in one recipe. You do all the prep and cooking for one recipe and then finish with two separate and very different foods. So different in fact, that I am posting them as two different recipes. They can both also be made without the other. I think it’s a pretty genius invention and really love all the different variations that my culture has with lentils. I guess when you are a vegetarian culture, that is obsessed with food (the Gujarat culture), you figure out how to manipulate your main protein source (lentils) to create a huge variety of delicious dishes. 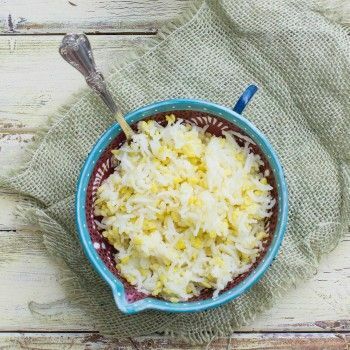 Osaman is traditionally eaten with rice and Lachko Dal but I also think it is delicious as a soup or vegetarian sipping broth. I especially love it when I’m feeling under the weather. The Lentils – Traditionally, in my family, Osaman is made only with tuver dal (split pigeon peas). But I’ve seen many variations made with whole mung, mung dal and others. I’m sure you would have success with a different dal if that is all you have on hand. The souring agent – It is important to add acid to most lentils in order to enhance their flavor. In Gujarati cooking, we use tamarind, kokum, amchoor and lemon juice depending on the recipe. 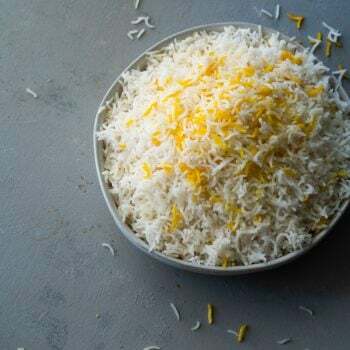 In my family, we use lemon juice for Osaman as it doesn’t interfere with the texture or clarity of the Osaman. But if you’ve only got tamarind on hand, use it! What do you serve Osaman with? If you would like more Osaman than you end up with with this recipe, simply whisk one cup of water with two tablespoons of Lachko Dal. There you have it, instant Osaman! 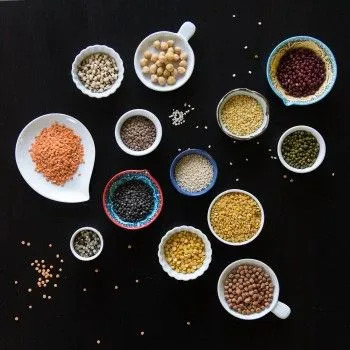 Be sure to check out my Guide to Indian Dal, Lentils, Beans, and Pulses for tips on cooking Indian lentils. Combine the pigeon peas and turmeric with 6 cups of water in an Instant Pot or pressure cooker. Cook at high pressure for 8 minutes. Then allow the pressure to release naturally for at least 10 minutes. 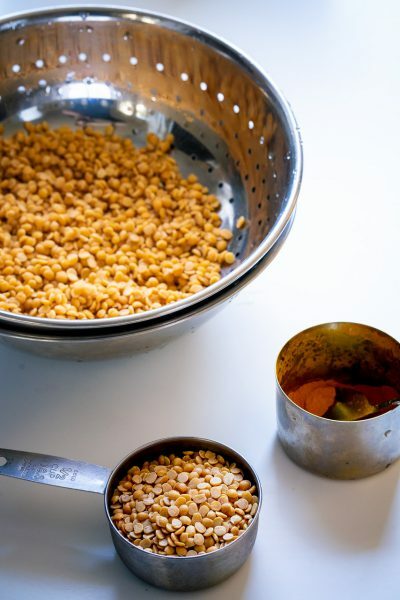 Using a large sieve, strain the dal mixture into two separate bowl. 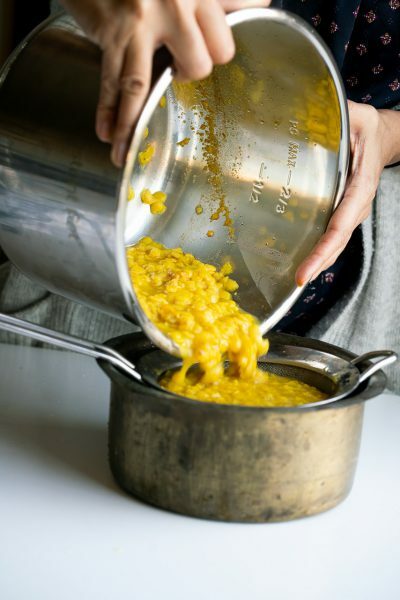 Set the solids aside to make Lachko Dal. 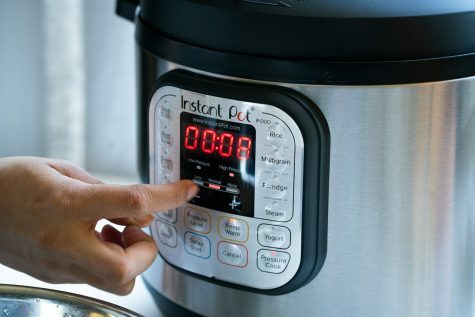 Wipe the Instant Pot insert dry with a kitchen towel and add the ghee. Set the Instant Pot to saute mode and heat the ghee. When it begins to shimmer (it happens fast!) add the cumin seeds, shallot and green chili. Stir until the shallots soften – about 30 seconds. Add the strained liquid back into the Instant Pot with the spiced ghee. Bring to a boil. Turn off the heat. Add salt, lemon juice and cilantro. Serve warm. Most Gujarati families also add a bit of jaggery (gur) or sugar to the broth as well. Try adding a teaspoon of jaggery or brown sugar far that traditional Gujarati flavor. Although my family adds onions or shallot to this recipe, many families add ginger instead. If I am making this when I have a sore throat, I will add both. Feel free to experiment with ginger and shallots. The Lachko Dal freezes well. So feel free to freeze if you don’t want to eat it with the Osaman. 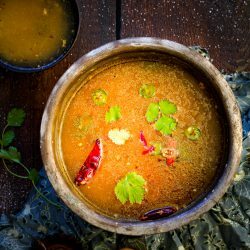 Comments on "Osaman: Instant Pot Indian Lentil Broth"